Product #15949 | SKU HPRC2300EBLACK | 0.0 (no ratings yet) Thanks for your rating! 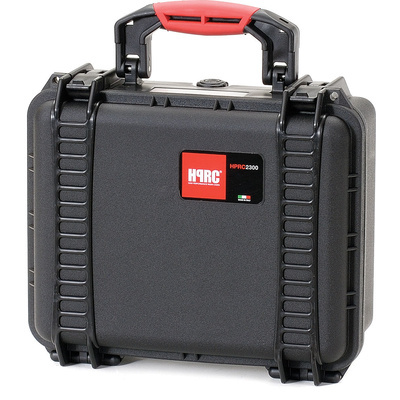 The HPRC (High-Performance Resin Cases) 2300E Hard Case (Black) is a lightweight, waterproof, unbreakable case. It meets ATA 300 specifications for transit cases. The hard-resin shells are virtually unbreakable and the interior rubber O-rings keep the case air and watertight. It comes with a comfortable, soft-grip handle for carrying and an air pressure release valve. The case can be used to carry audio, photo or video equipment and accessories.It is backed by a lifetime replacement warranty. This case has an empty interior.